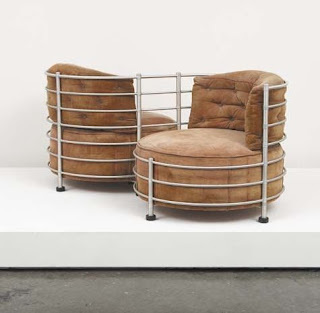 Warren McArthur’s furniture, recognizable for its curved metal tubing design with customized washer joinery, was popular with the Hollywood crowd during the 1930s Art Deco period in the U.S. 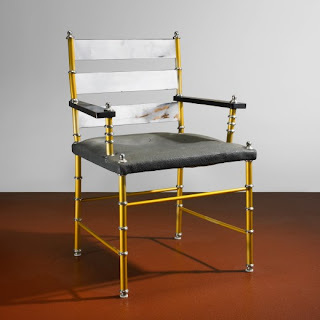 It was used on numerous movie sets and in the interiors of Warner Brothers Studios and the legendary Ambassador Hotel. This tête-à-tête is one of our favorites. Its glamour proceeds’ it. 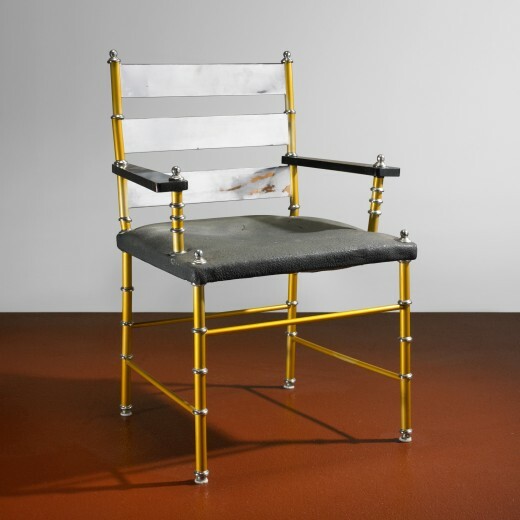 However, this yellow painted chair sold at Wright in 2009, is absolutely spectacular for the 1930s. It displays the cutting-edge coloring technique MacArthur used whereby metal is made porous through an anodic process. This enables the dye to combine with the metal. The color doesn’t chip!